Filed to: Hm?Filed to: Hm? 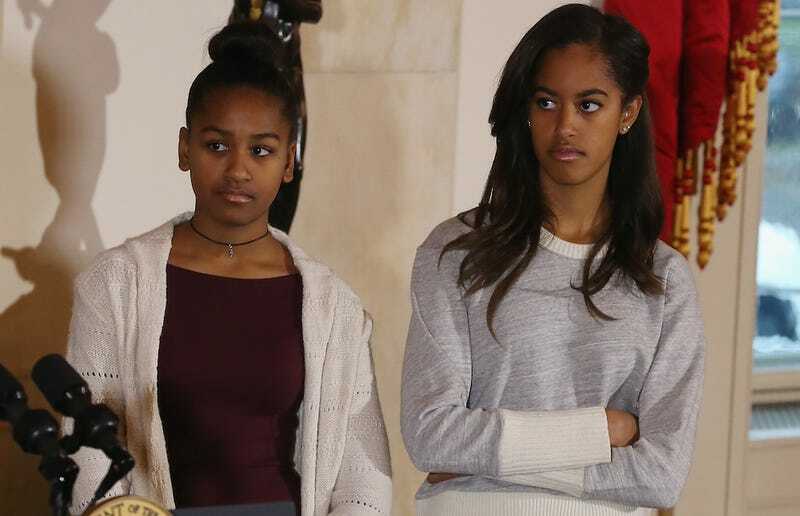 Felix Kiprono, a lawyer from Kenya, is in love with Malia Obama. And just in case you think he’s in it for The Wrong Reasons, well, he isn’t: “People might say I am after the family’s money, which is not the case. My love is real,” he told a Nairobi newspaper. “Ours will be a simple life. I will teach Malia how to milk a cow, cook ugali (a porridge) and prepare mursik (a sour milk) like any other Kalenjin woman,” he said. CNN writes that Kiprono is “currently working on a letter” announcing his intentions that he’ll then hand over to the U.S. Embassy. Love is in the air, everybody!